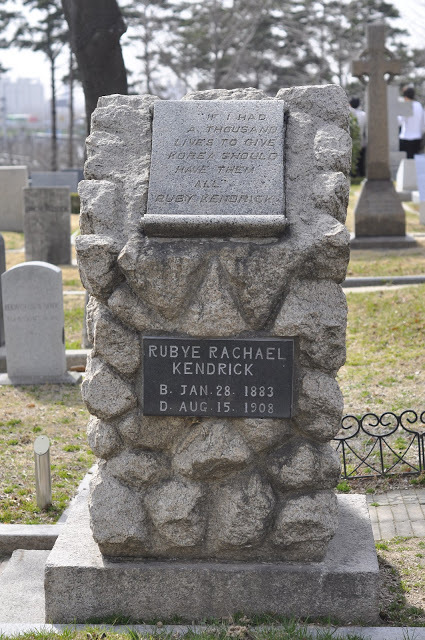 Ruby Kendrick graduated from Plano High School in 1903. Interested in pursuing missionary work, she attended Scarritt Bible and Training School in Kansas City, Missouri for two years. After graduating, Kendrick spent a year as a teacher of Bible at the North Texas Training School in Terrell, Texas and also served as a pastor’s assistant at the church there. 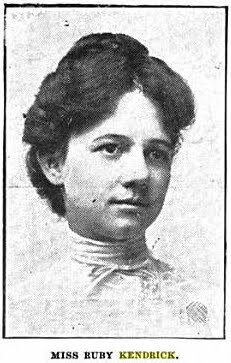 She spent the following year (1906-1907) at Southwestern University taking additional courses to acquire additional skills for missionary work. This land, Chosun, is truely a beautiful land. They all resemble God. I see their good heart and zeal for the gospel, and I believe that in few years it will be a land overflowing with the love of Christ. I was children walking over 10 miles on barefoot to hear the gospel and the love of God in them encourages me. But the persecution is getting stronger. Two days ago, three or four of those who have accepted Christ less than a week have been dragged away and were martyred. Missionary Thomas and James were also martyred. There were orders from the mission board to return, but the most missionaries are in hiding and worshiping with those whom they have shared the gospel with. It seems that they are all planning to be martyred. Tonight, I have strong desire to return home. I remember you mom who resisted to the last moment of me leaving the port because of the stories of the hate of foreigners and opposition to the gospel. Dad, Mom! Perhaps, this may be the last letter I will be writing. The seed that was sown in the backyard before I came out here must be filling our neighborhood with flowers. Another seed bear many flowers in the land of Chosun and they will be seeds to other nations. I will bury my heart in this land. I realized that this passion for Chosun that I have is not mine but God’s passion toward Chosun. Mom, Dad! I love you. What is a life well lived? How do we measure a life well lived? Ruby only lived just 25 years on this side of eternity. She was a missionary in Korea less than a year. Yet, her heart and love for God & His people still stirs hearts all over the world. 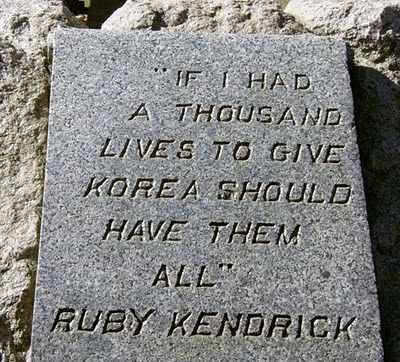 This entry was posted in PQ's Musings and tagged Heart of God, Korea, Life well lived, Mission, PQ's journey, Ruby Kendrick. Bookmark the permalink.